Abalone is a beautiful and functional board has room for two teams of large marbles. Players take turns pushing the marbles around the board, with the goal of pushing six of the opposing player’s marbles off the board. The central idea is that a column of marbles has weight given by the number of marbles in line. Someone will need to push with a heavier group of marbles in order to push the column along that axis. However, with six possible directions, it’s difficult to defend yourself perfectly. Also, it’s possible to play the game with up to six players when supplemental marble sets are purchased. 1. The player’s line must contain more marbles than the line being pushed. Three can push one or two, two can only push one. 2. Broadside pushes are not allowed. 3. A player cannot push a separate group of his own marbles. 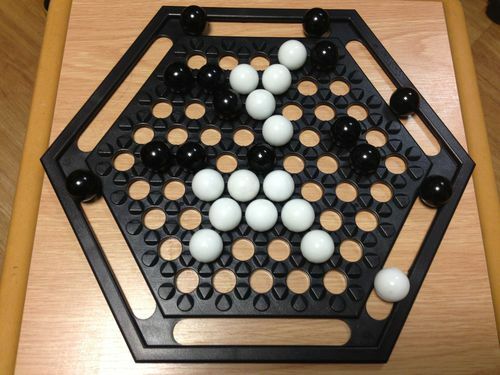 For example, if I am white and there is a line consisting of three of my own marbles followed by one black marble and then another white marble, I am unable to push because doing so would push my one white marble. If a player pushes a marble clear off the board, then that marble is out of the game. The first player to push six of his opponent’s marbles off of the board is declared the winner. Abalone is a fantastic strategy game. Considering potential moves does often require reading several moves in advance, and differences in skill become very clear when watching a game. The differences may not be pronounced enough to warrant a rating system, but there is a competitive world tournament held by the Mind Sports Organisation. 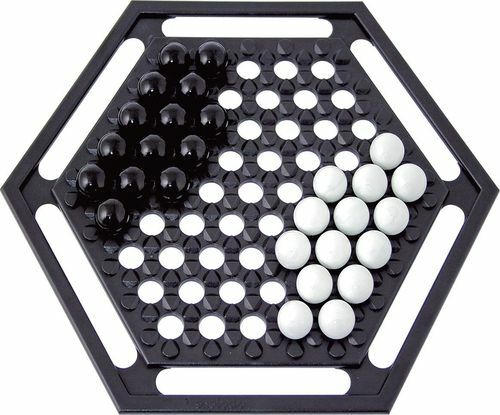 Multiple variations of this game exist, including variants using extra marbles and variants including more than two players, so there is always somewhere new to go with the same mechanics. The only serious issues with Abalone are the concern with stalemates and the advantage of playing first. When using the default set-up, high skill players will realize that creating a strong defensive formation is far more advantageous than attacking. If both players do this successfully, usually the first one to attack will lose. 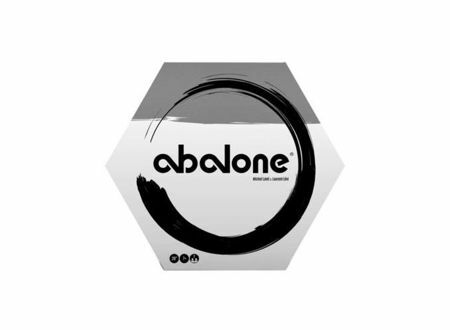 Abalone is a relatively quick game to play with games usually lasting no longer than 10 minutes, this makes it a great game for killing time. There is also an app version of the game available which means you can play on your own against a live opponent or an AI. This entry was posted in Board Games, Review. « What If? You were drawn into a Jigsaw Puzzle?